The 15-seconds-a-day-could-save-your-life Protocol! Yes, swallowing a few supplements a couple times a day does not impinge on your schedule. As long as you have 15 seconds to spare, morning and evening then please keep reading. Okay, let’s be honest here. You’ve heard that Omega-3 Fish Oil is good for heart health. Fats do wonderful things for your body, like enable your brain to work. Acid sounds corrosive but its not like that. Do you put lemon in your tea? 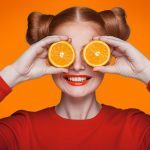 Vitamin C is also known as ascorbic acid…the secret is a balance between alkalinity and acidity. You can’t exist without both. 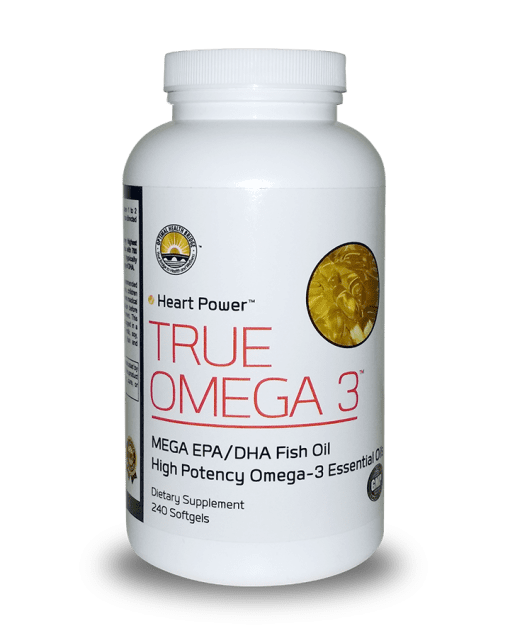 The major benefits of Omega-3 have been known since the 1970s when Danish doctors studied the Inuit people of Greenland and compared their diets to regular Danish folk who liked Danish pastries more than whale blubber. What they found was extra ordinary. 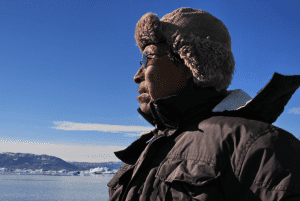 The incidence of heart disease among the Inuit who kept with their traditional diet were statistically insignificant, whilst the Danish who loved pastries had high incidence. 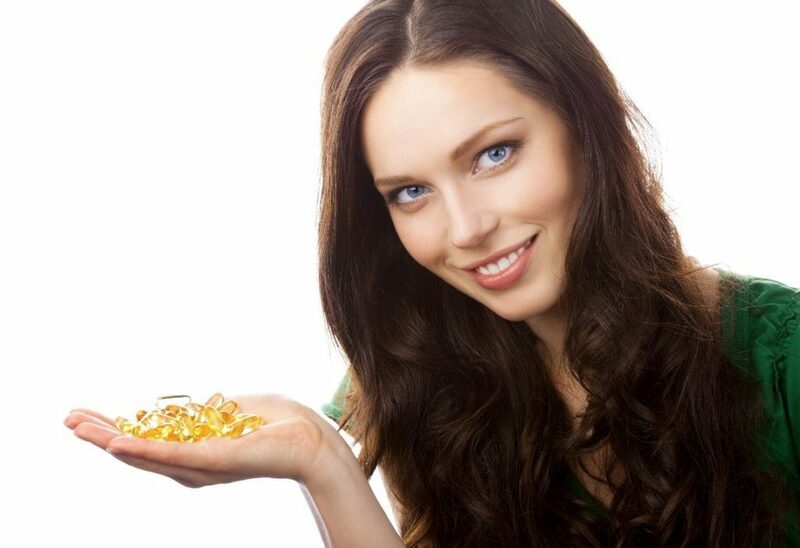 Some consider Omega-3 as a panacea and others call it a building block of good health. Omega-3s may not cure every ill, but it’s sure to improve the balance of inflammation your body. Let’s put it this way: You really can’t live well without it. And without it, there will be a failure of health somewhere along the way. You can think of compromised structure like a dam, that is built with inferior materials, concrete poured with too much sand and not enough cement. With age and the constant pressure of life, the weaker materials fail. People die. But maybe you tried a regular fish oil and you got fish burps or a tummy upset and the bottle you bought is now a waste of money and you’ll never take it again. I understand. 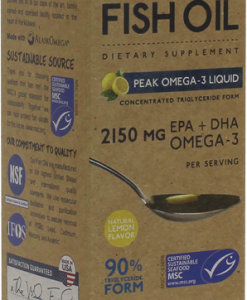 But there is a solution and way to get the benefits of Omega-3s without the fish burps. 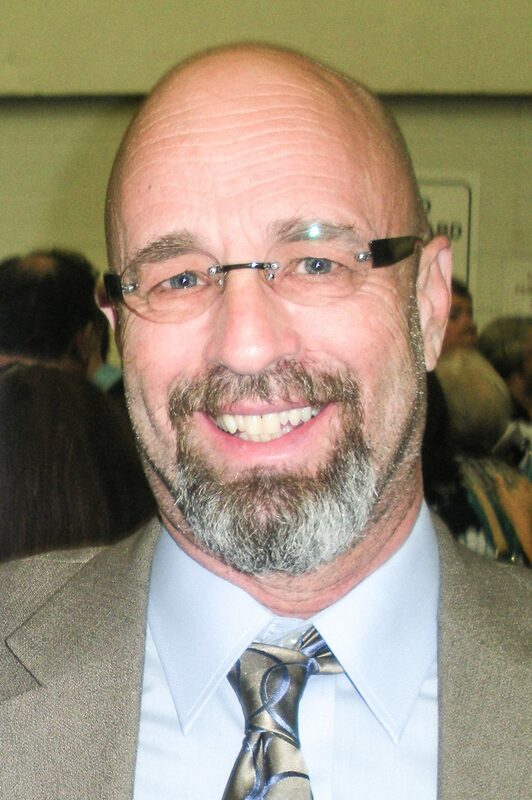 Hi, my name is Garey Simmons, certified nutritional health coach and I am the father of ten children. Five boys and five girls. I am a grandfather too, but I promise not to show you pictures of my grandkids, at least not today. 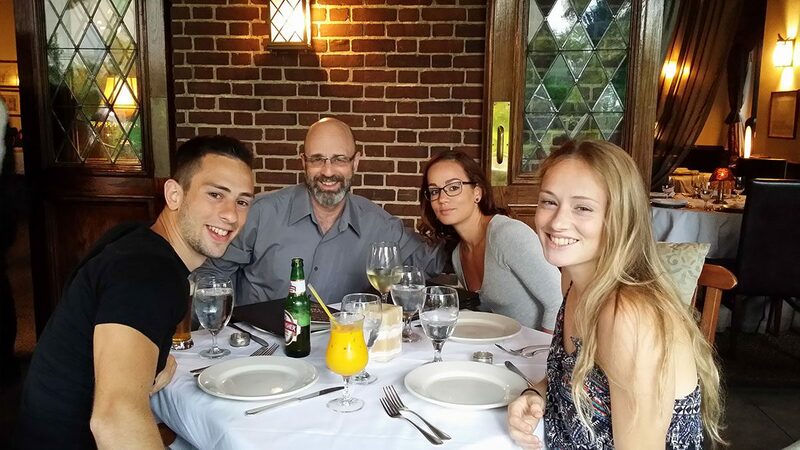 Your grandkids are just as cute, I am sure. Today we’re going to suggest a way to radically improve your health. If you have NO concern about your health, I am happy for you. 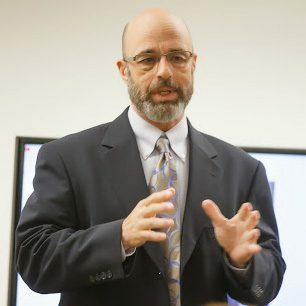 But once you hit your forties or fifties, and definitely your sixties, then things start to go awry. It really does depend on your lifestyle, nutrition, level of exercise and the amount of stress and anxiety in your life. If you have some major concerns or even minor ones, read on. The good news is the human body is amazing and can take a lot of abuse and still function at a high level for years, even scores of years. How does it do this? Because the body has built-in fail-safe systems. If you don’t get the nutrients and ingredients you need “to be healthy” then your body will figure out ways to compensate. It’s a stunning fact that cardiologists tell their patients that they had a coronary artery blockage that was close to 100% and the patient never knew until the dam burst or the angina set in or the myocardial infarction stopped you in your tracks. The reason is simple, your body compensates. You, being as awesome as you are, developed a host of extra capillaries to continue to feed the heart while the arterial blockage was growing. Our bodies have an innate intelligence that favors life. Besides, you are just awesome. You really are. What does algae have to do with you and me? There is one plant that provides a specialized nutrient that can prevent heart disease in humans. It’s called algae. Algae is responsible for providing nutrients to small fish that in turn make essential fatty acids that have a unique molecular signature. Most oils we use for cooking and baking are pro-inflammatory, generally known as Omega-6. Omega-3s, are uniquely anti-inflammatory. You and I cannot eat algae very easily and we can’t make essential fatty acids from the foods we eat like those small fish can. So, don’t even try to eat algae. I understand that not everyone is accustomed to eating sardines or anchovies. Larger fish have toxicity problems. More on that in a minute. It is only by ingesting fully formed Essential Fatty Acids (EFAs) that your body can be properly lubricated to keep the joints working well, the brain synapses in good working order and the heart working to limit blockages and maintaining a healthy cholesterol and triglyceride balance and really it is the basis of what fuels the immune system. In reality, the balance between Omega-6s oils (Pro Inflammatory) and Omega-3 oils (Anti-Inflammatory) should be in a ratio of 1:1, in an ideal world. Even 4:1 would be acceptable (Omega-6 to Omega-3) however, most Americans are 20:1 in ratio. Can you see the problem here? Add that to the amount of processed foods that are also intensely pro-inflammatory, and we end up living in a toxic, diseased state, especially in our later years. It’s a bummer. Is there a way out of this dilemma? 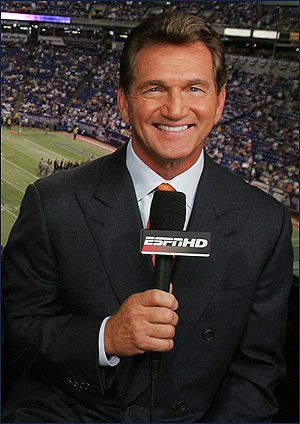 This is Joe Theisman. I met him early in my health coaching career. He knows a few things about health. I mentioned “Burping” in the headline of this article. If you buy a regular bottle of fish oil for $12 -$15, you may think you are doing yourself a favor, getting on this health kick. 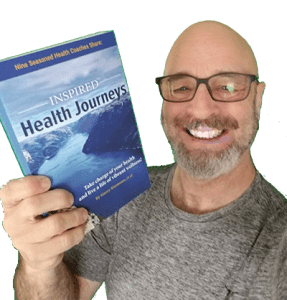 But the potency of the oil, the age of the oil, the manufacturing of the oil, the exposure of the oil to light and climate are all variables that can derail your plan to get healthy. The omega-3 molecules are comprised of eicosapentaenoic acid (EPA) and docosahexaenoic acid (DHA). Just say EPA and DHA. 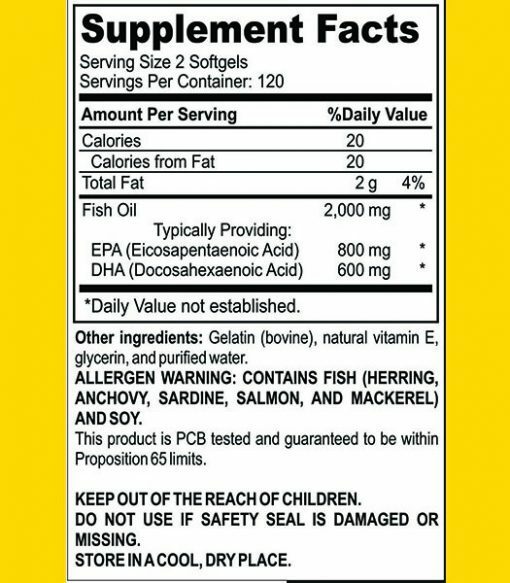 If a capsule of fish oil is 300mg of EPA/DHA (usually 180mg EPA and 120mg DHA) out of 1000mg, you will probably not be able to digest it properly. 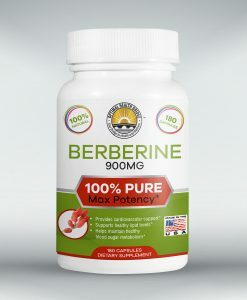 Check the label on the bottle for the strength or potency. It may contain impurities, even heavy metals. You may not be aware but eating fish every day or even twice a week can be detrimental to your health. Heavy metal toxicity is common in sea towns around the world including the Unites States. 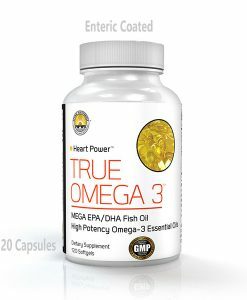 Our True Omega-3 is 400mg EPA and 300mg DHA in one single capsule. And our capsules are contaminant free. You want to know the reason I studied heart health and became a health coach? 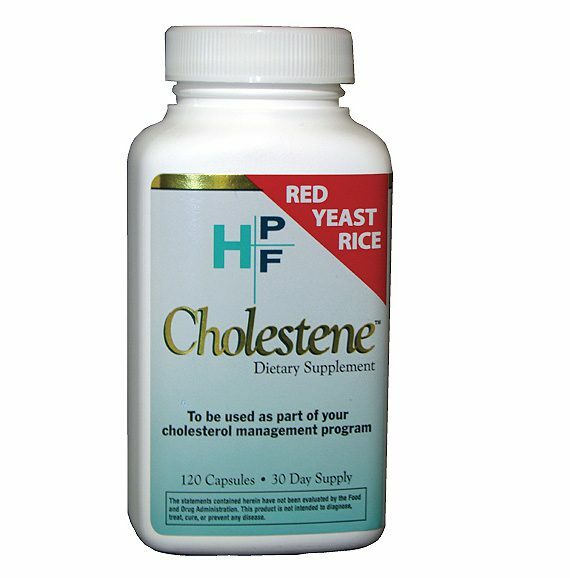 I received a diagnosis of hypertriglyceridemia or Very High Triglycerides in my early fifties. I wouldn’t take the prescription medication. I was innately anti-pharmaceutical. In my pursuit of a natural means of offsetting this diagnosis, I learned about fish oil. I learned there are triple purification processes and concentration methods to help you ensure a healthy future. All I am saying is if you take a couple of fish oil capsules and experience “repeating” (burping), I can tell you most of you will not take the capsules again and the bottle of store bought fish oil will sit on the kitchen shelf or in the fridge until you notice the expiry date at which time you will rightly throw it away. True Omega-3 is a much higher concentration at 700mg of EPA/DHA per 1000mg capsules. This is to ensure “no repeating.” You can get a higher potency but that would be from a pharmaceutical company and that would be a contrived concoction using synthetic molecules that can be patented. Nature cannot be patented. Therefore, pharmaceutical companies make products called “drugs” to be under patent for as long as possible. It makes sense if you are in business to make billions of dollars. At the moment of this writing, there are three pharmaceutical versions of high potency omega-3 oil but you’ll find that your insurance company pays $150 for 120 capsules, a month’s supply. It’s that old back scratching game that doctors, insurance companies and pharmaceutical reps play. Sorry, but I just don’t like it. However, notice that those billion-dollar companies are making this expensive oil that they can patent because its sort of a back-handed acknowledgment that Omega-3s oils have health value. They do this even as they publish “studies of studies” that contend that fish oil isn’t worth the trouble and has no value. Go figure. But if you are in the business of health and want the best for people then maybe nature is good enough. No patents, no billions of dollar schemes but there is satisfaction in genuinely helping people to be healthy. 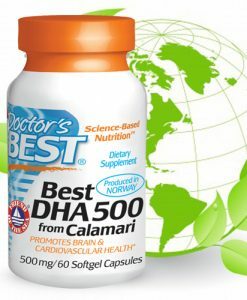 In the largest study in the known world, the GISSI study in Italy as documented by the National Institute of Health (NIH), Omega-3 oils are deemed “essential” to human health. Documented to improve cardiovascular health and more, but our bodies are totally lacking in these long-chain fatty acids. We have to ingest them. Eat them. When I get to heaven, I’ll take it up with the big guy when I have my face to face and convene a meeting called “The Design Problems with the Human Form.” This will be on the agenda. But it’s okay. Most of us like to eat. But not everybody likes to eat fish. And fish is where omega-3s appear in nature in the easiest to digest form. However, I must point out that in our modern world not all fish are created equal. Did you know that farm-raised salmon is dyed pink to resemble their wild caught counterparts? 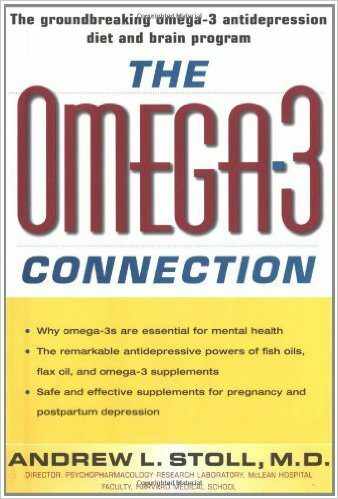 Here’s the little secret that you can confirm in research if you like: Only wild caught small fish who feast on algae can make Omega-3 oils. Now bigger fish who eat smaller fish will have some omega-3 oils in their fleshy parts but then you are talking about degrees of separation. We humans are a clever breed. We invent. We contrive. We create industry. We can make highly potent Omega-3 distilled oils from small fish. That’s what we do with True Omega-3®. We use anchovies and sardines to express their natural oils and then triple purify it to remove any potential contaminants like heavy metals, PCBs and the like. Yes, the oceans are not quite as pristine as they once were. There is a price to pay for procreating. There are seven billion people on the planet and some places they still like to stay warm in the winter. So, whether its coal, oil or electricity you are using to heat your home, you are contributing to a less than pristine environment. While it’s a problem, it’s not insurmountable and nature can bring things back into balance quickly, if we can make good choices. You are a little ecosystem and the purpose of this writing is to help you make a good choice here for the universe of your body and that of your loved ones. We have established non-profit councils to minimize all kinds of blunders we unintentionally make. This includes marine councils that have established safe rates of fish extraction from the sea in order to preserve harvests for future generations. “Eco-Friendly…” We certainly abide that common sense, pragmatic reality. 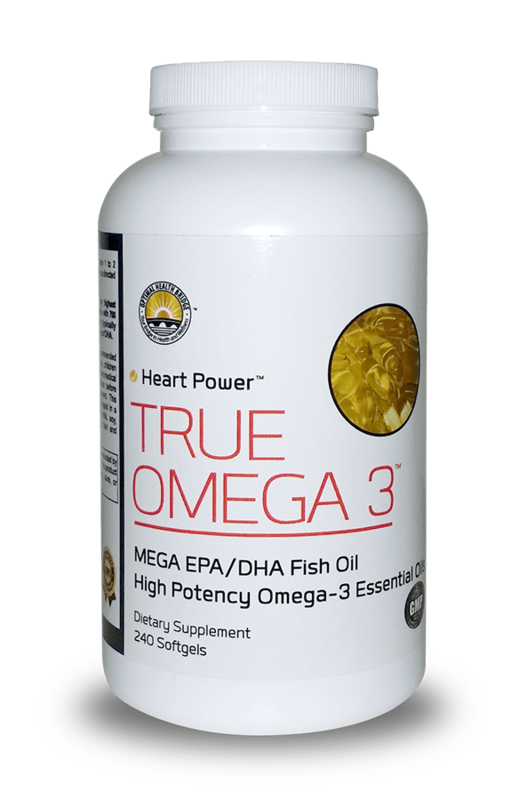 The reason we coined the name True Omega-3 is simply because we truly want to be healthy. 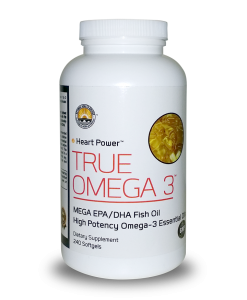 I began my Omega-3 journey in 2005, when I was diagnosed with Very High Triglycerides. Whether I was predisposed genetically, or I ate too many sugary foods, I had a score of 508. The healthy limit for triglycerides in the blood is 150mg/deciliter. After three months of taking High Potency Omega-3, my number had dropped to 200. Getting healthier. On the road to a healthier me. Yaaah! Something besides drugs worked! Nature is wonderful! 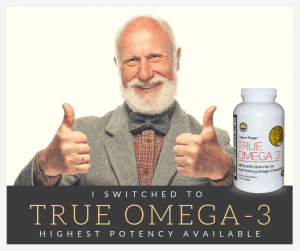 The rest of the details are a bit boring but nonetheless, I started a website called Optimal Health Bridge and launched a partnership to manufacture a highly potent, very safe natural marine oil and sell True Omega-3. I was thinking if I were Bill Gates or some other billionaire, I’d give True Omega-3 away for free. But it wasn’t a few seconds until I realized that as human beings while we want a good deal, if something is given to us for free, we tend not to value it. A better arrangement is to charge a very fair price that will ensure our business is competitive and produce the best product we can for the money our customers can reasonably afford to pay to ensure their continued good health. Price and purity can be issues, that is understood. 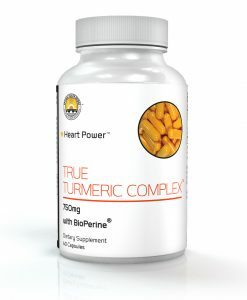 Another dissuader of using this natural therapy to keep your heart and brain healthy is the potential for fish burps. So where do fish burps come from? And why would I even talk about it when I am working hard here to convince you that you need to take this every day, twice a day? The answer is simple. If you buy a bottle from the store and you take your first dose and your body says, “Yuck!” You’ll let that bottle of capsules sit on the shelf. That’s not the outcome I want. As I said before, you need to ingest omega-3 to get the benefits. Having the bottle sitting in the kitchen produces very little benefit, if any. True Omega-3 doesn’t cause fish burps. Here’s a tip. Even if you don’t buy my True Omega-3, do not buy fish oils in clear containers. Light makes the oil go rancid. Rancidity causes fish burps. Contaminants cause fish burps. Big box stores do not climate control their large distribution warehouses. All these things contribute to rancidity. Now a very small percentage of people have a hard time with many foods. So barring IBS or some other digestive problems that can be dealt with separately, then you can trust True Omega-3 to be burp-free. 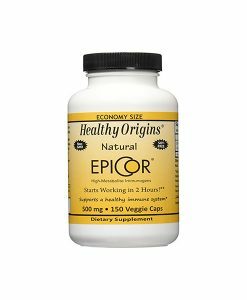 We have an enteric coated version that will allow those with sensitive stomachs to still enjoy the benefits of True Omega-3. 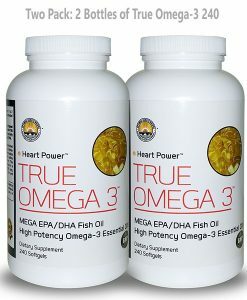 Now, the big question: How can I entice you to act and order your first bottle of True Omega-3? It’s a good time to mention that we give you a 365-day guarantee. You don’t like True Omega-3, you get your money back up to a full year. Have you ever heard of such a thing? Yes, you have to return the bottle to us and we cut you a check you can cash at the bank. As a manufacturer, with all the work that goes on behind the scenes and the third-party testing that goes on with every batch, we consider $50 to be a fair price for 240 capsules. Why do we pack this many when other companies sell 60 capsules, or 120? 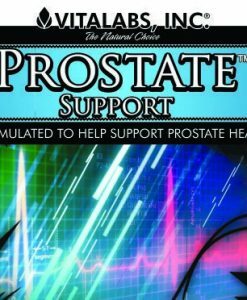 The financial guys say sell less and take a higher price per capsule. In fact, our biggest selling SKU is 6458-2194-3. That SKU will get you 3 bottles of 240 capsules for only $99 and we’ll pay the shipping and handling, if you sign up with our AutoShip Advantage Program. Who should buy 3 bottles at a time? If you are smart and get your whole family taking it as a good health practice or you have risk factors for cardiovascular disease. Then I’ll “prescribe” or suggest a twice daily dosage of 3 capsules in the morning before breakfast and 3 capsules in the evening before bed. There are good reasons for it, but space is limited to explain it. Here’s what I’ll do: I’ll print up the dosages for several conditions and it will be in with your shipment. Now, if you want to go with a single bottle on a monthly or bimonthly basis, we have a 50% offer for the first bottle and 30% off for subsequent bottles. Yes, free shipping too! Now the time has come to say “Yes.” That’s your only job, to say yes to good health. Or if I haven’t convinced you to give it a try, then let me hear from you. I need to know where I can improve my message because I think it’s an important one. I wish you good health. PS there are many brands of Omega-3 on Amazon. Find one you like. 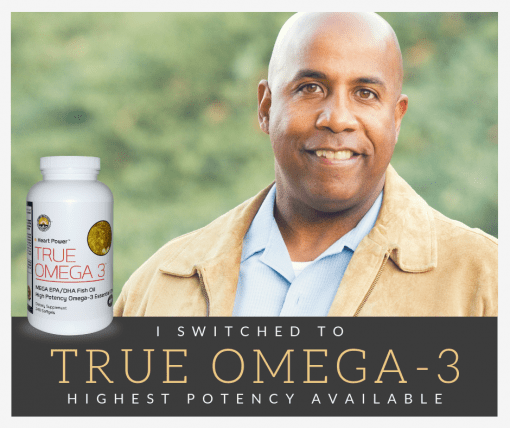 I’d like you to try my True Omega-3, I’ll make a deal with you. 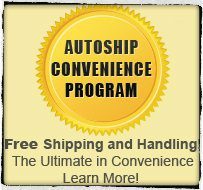 If you will sign up for an auto shipment, I’ll extend a 50% off discount from the first bottle and continue to give you 30% off the full retail price as long as you remain a customer. And it goes without saying, you can cancel the “autoship” anytime with no obligations. It’s as easy as sending us an email, or calling in on a toll free number (877-572-3444) to cancel. You can pause and restart your shipments at your convenience via the website. Are you ready to experiment? Try something new? Can you spare 15 seconds? 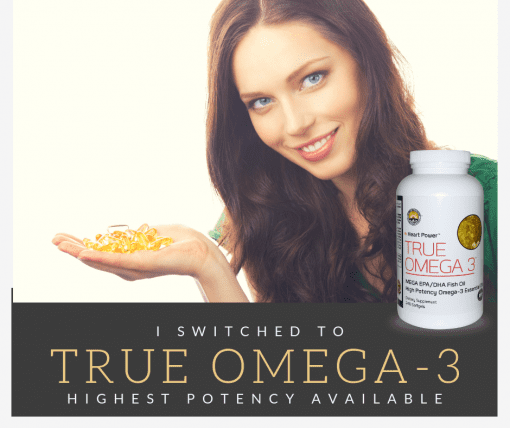 I Discovered the Numerous Benefits of High Potency True Omega-3. 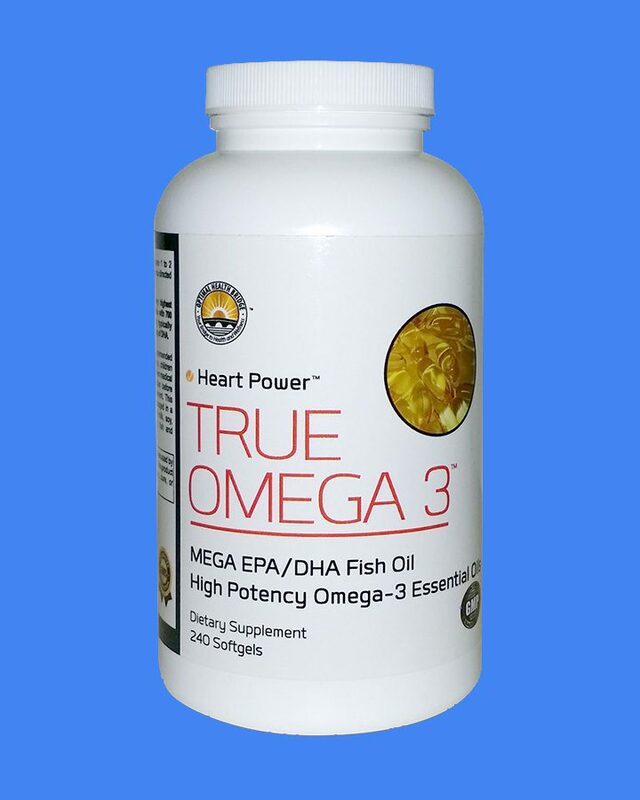 Did You Know Most Fish Oils Contain Only 30% EPA/DHA? It’s not guns, racial issues or even cancer that kills most Americans. 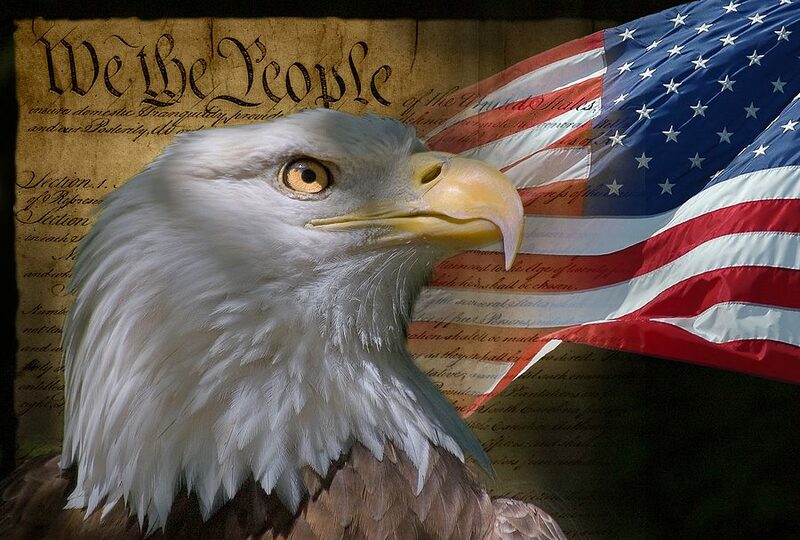 It’s not ISIS, ISIL OR Teheran, or any other threat foreign or domestic. Specifically, my triglycerides were 508 (anything over 500 is cause for alarm being high risk for stroke. I was 51 at the time.) In 3 months, I was under 200. How? Four grams of EPA/DHA per day. 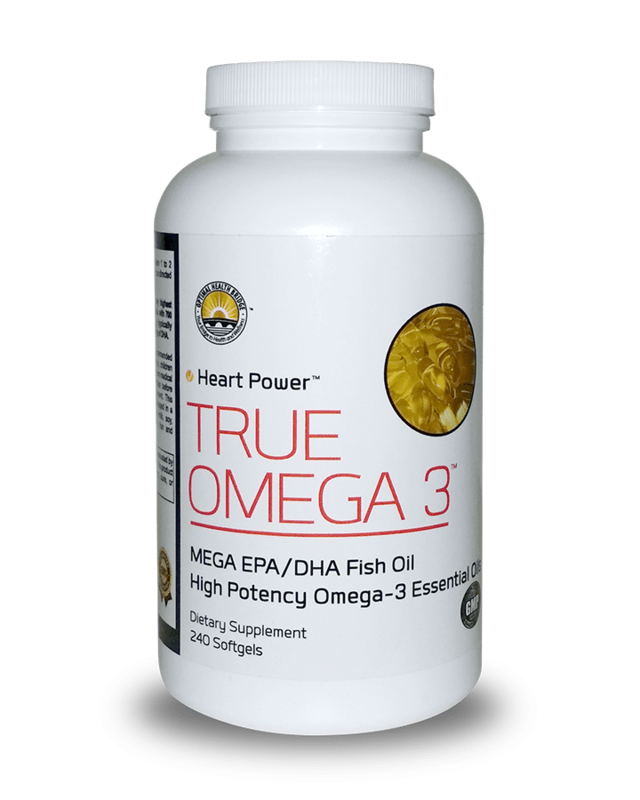 Scroll down and see how you can achieve a healthy blood lipid profile for yourself using True Omega-3. Clearly this ‘protocol’ works. 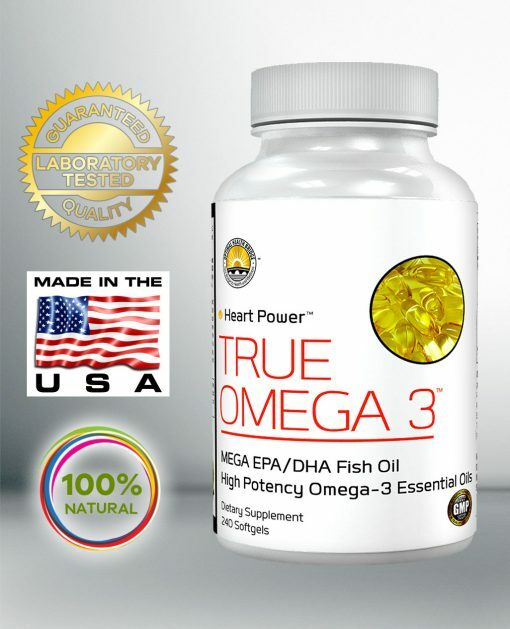 70% EPA/DHA More than twice as powerful as Omega-3 Fish Oil. 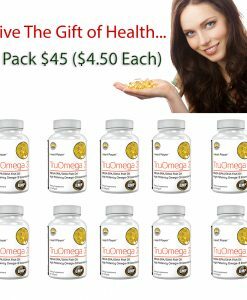 I’ve been taking True Omega-3 240 for many years and have conquered the whole high cholesterol, high triglycerides conundrum. It works. Before taking Omega 3 my cholesterol level was well over 200. 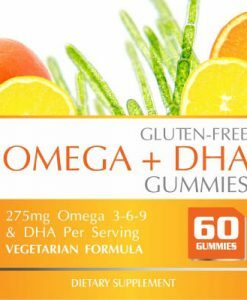 After taking Omega 3 for 6 months (4 gels daily) my cholesterol level had declined more than 100 points. I’m very satisfied with this product. Many of my friends also have had similar results. I have been with you for a few years. Your service is excellent and you guide me on few things that my Dr. was impress with your knowledge. I wish that people can read my comment. 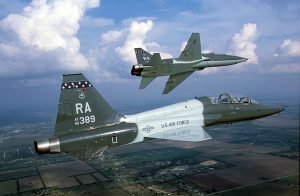 I have a success story for you! 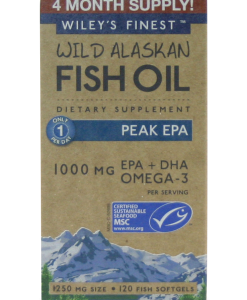 I started taking the True Omega 3, then after several months I changed my diet to paleo and also started moderate exercise. For the past 20+ years my cholesterol has typically been in the low 200’s ranging consistently from 206-228. I recently had blood work done and after adding True Omega 3, changing my diet and adding some exercise, in less than 6 months my cholesterol dropped to 129! Leading a healthy lifestyle with True Omega 3 definitely pays off!